85.b / 101 Ah, but we know her, don’t we? 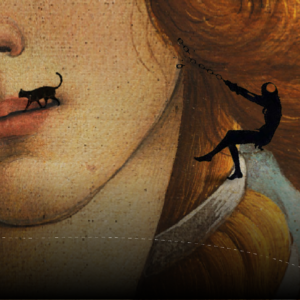 Thanks to these beautiful lips, now we know that we are at Uffizi, in Florence. @mariecordero1o1 and @claire_stories like Botticelli, and of course we can only comply. But, what happened to @tatjana1o1’s princess? And where are @clareuna1o1 pumpkins? Shall we try to fly back? ← 85.a / 101 What’s this?